Minister of Petroleum Bijan Zangeneh has ordered oil production and exports to be ramped up by 500,000 barrels per day in preparation for the removal of sanctions on Iran, a news agency says. The report by the Mehr news agency, however, did not say whether the order was for a trial run of oilfields and export terminals since additional exports would begin only after the sanctions are lifted on Iran. Zangeneh issued separate letters to directors of oilfield operating and terminals companies as well as the National Iranian Oil Company (NIOC) International Affairs, ordering the raise, the Mehr news agency reported. Managing Direct of the National Iranian South Oil Company Bijan Aalipour said all necessary plans for raising oil and gas production have been developed, adding "operations for a return to the pre-sanction (production) ceiling will be done in the shortest possible time". "In view of the agreement and annulment of the sanctions and also the way for more oil exports being paved, we are ready to raise the oil production capacity to the maximum level desired by the minister of petroleum within three days." NIOC deputy head Rokneddin Javadi said a test operation of major oilfields for stepped-up recovery carried out last year will be repeated on all deposits. NIOC also simultaneously engaged all its oil terminals on the Kharg Island in spring to log record exports of 7 million bpd of oil for the first time in 10 years. Officials have said a series of overhauls have been carried out in the terminals for the docking of supertankers. Iran exported 2.3 million-2.5 million bpd of oil before US and European sanctions targeting its energy sector cut the sales by half. 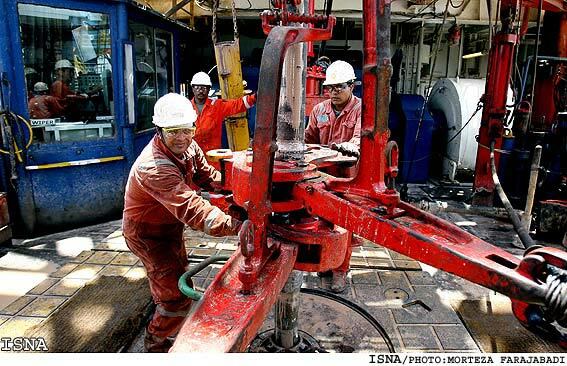 Javadi said NIOC could raise output by 500,000-600,000 bpd in less than a month but the market lacks the capacity to absorb this volume of additional oil. "Raising Iran's oil output and exports by more than 500,000 bpd will need six months to one year and Iran will be able to return to its exports ceiling before the sanctions in a year. "Some of the countries to which we were not selling oil because of the sanctions will join the Iranian oil exports market and some other countries which were not our clients even before the sanctions will be among our new customers," Javadi said.